Your Christmas gift from ‘Jurassic World’ has arrived early. 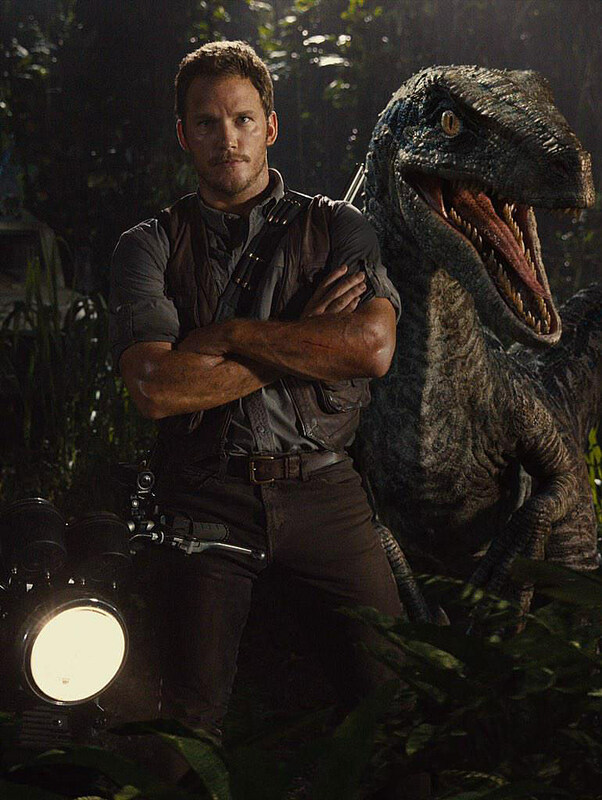 Previously, the first trailer for the upcoming sequel had teased a moment near the end in which Chris Pratt’s character appeared to be teaming up with the super lethal velociraptors to take down the super-smart hybrid dinosaur wreaking havoc in the world’s most ill-advised theme park. And now director Colin Trevorrow has revealed this pretty rad new photo of Pratt hanging tough with one of his raptor pals. Trevorrow tweeted the below image on his official account with the message, “Happy Holidays from the editing room. Do not try this at home.” I think we can all agree that the last moment in that ‘Jurassic World’ trailer inspires the most amazed, WTF, fist-pumping reactions, leaving us all wondering just what the deal is between Pratt’s character, Owen, and those incredibly deadly raptors. Owen’s relationship with the raptors is complicated. They aren’t friends. These animals are nasty and dangerous and they’ll bite your head off if you make the wrong move. But there are men and women out there today who have forged tenuous connections with dangerous predators. That’s interesting territory to me. ‘Jurassic World’ hits theaters on June 12, 2015.